Give your cold-weather wardrobe a refresh with the Sorel Out 'N About Waterproof Boots. Whether you are chasing down toddlers in the rain, walking rover, or hitting the mountain on a fresh powder day, water-blocking bottoms and a plush interior guarantee your first step is as comfy as your last. 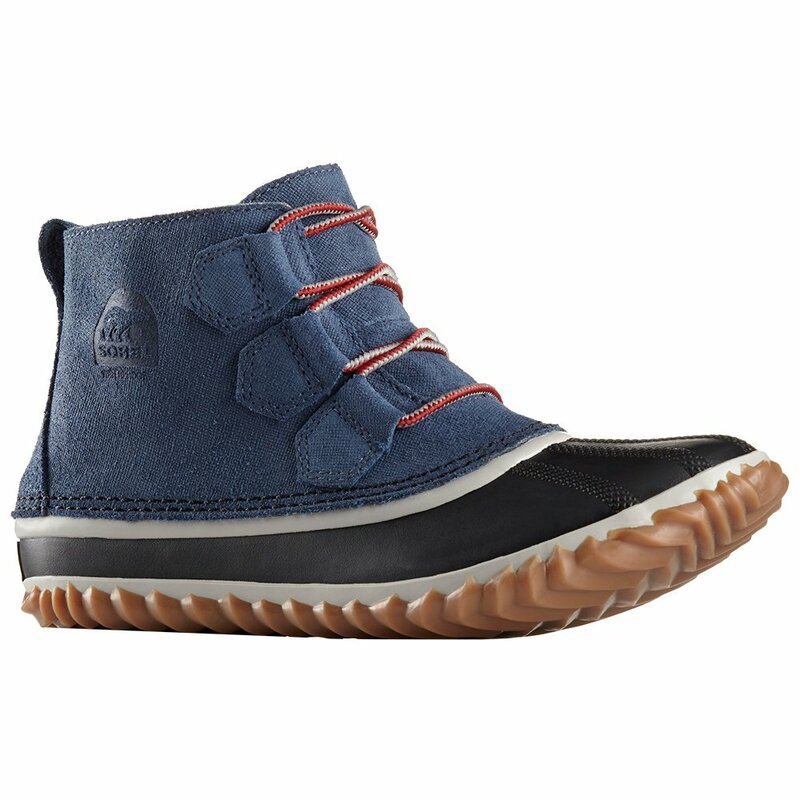 Dressed up or down, paired with jeans, leggings, snow pants and yoga pants the Out 'N About boots are the perfect choice if you’ve been on the hunt for versatile, stylish and functional snow boots. The only real problem is how you’ll choose between all the great styling options you have with the Out 'N About boots. "What does B width mean?" "A "B" width is going to be your standard width for women's shoes!" Great shoes for rainy days. Several complements each time I wear them. Bad in snow deeper than two to three inches. Otherwise great. Truly waterproof. These boots just fit. I would order half size larger. They are really cute. Great for rainy days. I've worn them just a couple of times. When you put them in they are a little stiff but quickly they are comfortable. I bought the elk color. I love these Sorel boots! I had to size up, I'm usually an 8.5 but the 9 was perfect with thick socks. Perfect for short day hikes or going around town in the rain. The toes turn up just a bit which was a bit weird but I liked the quirkiness of it. The leather is stiff so it could feel uncomfortable around the ankles if the laces are tied tightly, but it softened a bit with a few more wears.